My rabbit died. I don't know what happened. One hour ago after my rabbit had her monthly bath she collapsed suddenly, her feet were bright red and it was bleeding. Later the poor thing died. Was it cancer, infection or something. Pls reply. Laura, so sorry to hear it. When you say "monthly bath," I'm assuming you have bathed this rabbit on a monthly basis over at least several months with no ill effects? I ask, because rabbits typically do not need bathing as they are very clean animals and will keep themselves spit-shined. Had your rabbit been having any previous trouble breathing? Any sneezing, or audible breathing sounds or evidence of a struggle to breathe in and out? I'm wondering about the possibility of a sudden onset pneumonia due to the rabbit being wet and getting chilled. Frankly, I'm doubting this, but it is probably a fair question. This is horribly contagious and 90+% fatal. I don't know if RHD is endemic in UAE, and if not, then I am not sure where it would have come from. I do know that the virus causing RHD is long-lived, and can be transmitted through rabbit products imported from places such as China where RHD IS endemic. Please triple-bag your rabbit, and refrigerate it until you can get it to a vet for a correct diagnosis. If the diagnosis is positive for RHD, the authorities will want to know about it and to contain any outbreaks (it is that serious in places where RHD is not endemic). 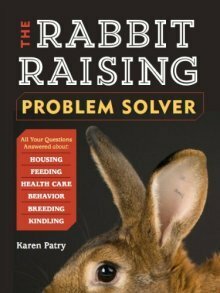 If any other rabbit breeders have experienced similar problems with their rabbits - sudden collapse, red feet, bleeding, please add your comment with more specifics to this post.